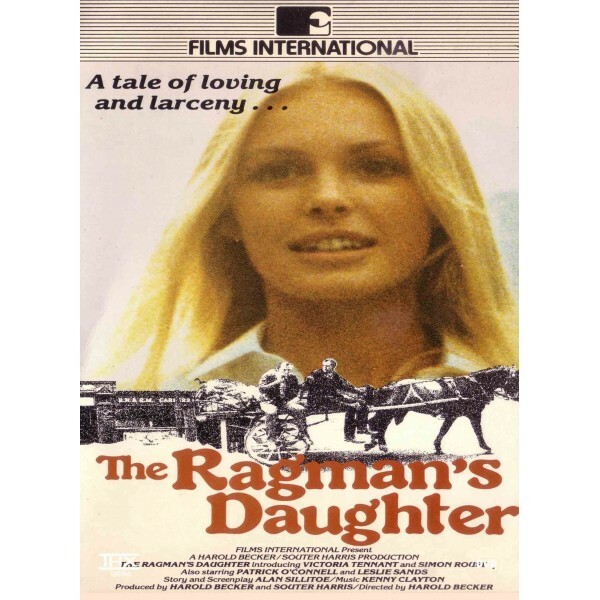 The Ragman's Daughter is the story of Tony Bradmore who, in his mid-30s, has a dead-end job at a cheese warehouse and a wife & two kids to feed. He looks back to the time when he was young and in love with Doris Randall. He was working-class and poor, but she was the daughter of a prosperous scrap metal dealer. Tony, a worker at a cheese factory who is also a petty thief. In a series of poignant flashbacks, Tony remembers the first time they met, and how he had aroused her interest when he told her that he was a thief. "I've never stolen anything in my life," she says, "but I've always wanted to!" Slowly, he falls in love with her and must decide whether he will stay a thief or start a new life with Doris.It was Becker's first film during the 1970s and stars Simon Rouse and in a screen debut, Victoria Tennant. The young lovers then led an adrenaline-fuelled existence of thieving and adventure. They taunted the world around them with their mad acts - he with his motor bike, she with her horse - until the day when their luck runs out.